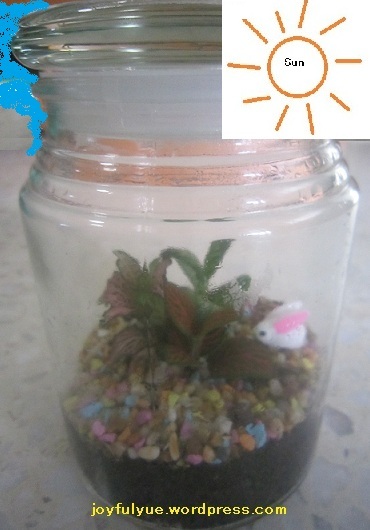 In Science in a mini garden 1, we talk about the water cycle. In this post, we look into photosynthesis. The plants convert light energy from the Sun into sugar molecules. Sugar molecules serve as the food for the plants to grow. 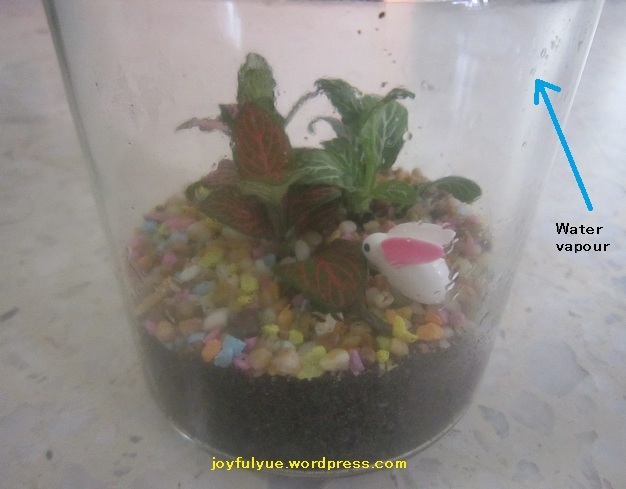 For the mini garden, excessive heat from the Sun is actually detrimental to the plants because the heat causes excess transpiration and will disrupt the water cycle in the mini garden. Thus, the mini garden only needs the fluorescent light at home or office as its energy source. Other than sugar molecules, photosynthesis also creates oxygen and puts more moisture in the air. The moisture is recycled inside the mini garden and used by the plant. 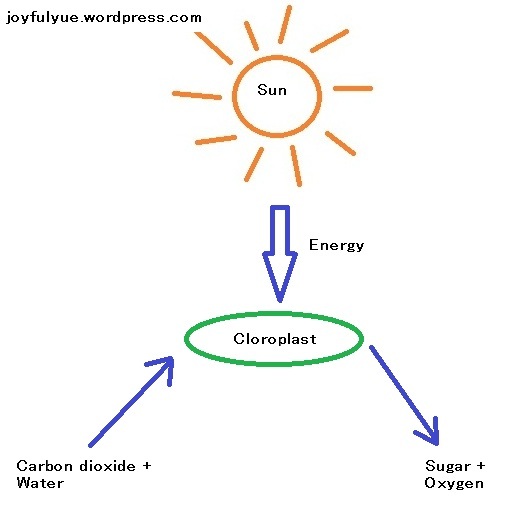 The light is absorbed by chlorophyll in chloroplasts of plants leaves. The light energy is stored in the form of adenosine triphosphate (ATP). By Wendy in Life and Science on 13/10/2013 .